Remember that grilling thing I mentioned the other day? Well, I just can’t quit it. Since kissing my grilling fears goodbye, my recipe brainstorming sessions have taken on a grilled tune. Maybe it’s those pretty char marks that pop in front of the camera that have got me hooked or maybe it’s the fact that I feel a surge of empowerment when I hear the kick of the grill igniting. Whatever it is, it seems to be here to stay, and I’m thankful for its aptly-timed summer arrival. And if you happen to be grill-wary, I think this recipe will be all the convincing you need to throw your fire-fueled cautions to the wind. 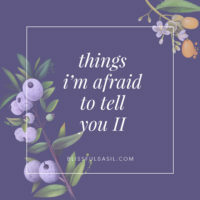 But maybe not all of your cautions. 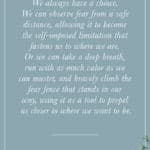 Hold on to one or two of those nerves. I don’t want any flaming romaine or singed hair on my watch. 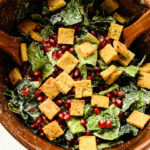 This salad swoops in with a summertime remix on the classic caesar salad. 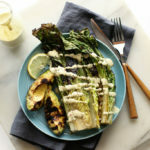 Grilled romaine and avocado wedges are drizzled with a creamy, tangy, and garlicky caesar. 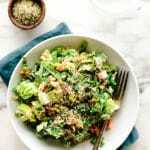 Instead of the traditional dairy or egg base, this caesar dressing relies on hemp seeds to add depth and richness. Hemp seeds are packed with plant-based protein and offer a balanced ratio of omega-3 and omega-6. They make an excellent base for nut-free creamy dressings and sauces. Caesar, ranch, aioli, etc. The options are endless. Thank goodness for the brilliant Angela Liddon who used them in a dressing a couple summers ago. The world is a more delicious place because of her kitchen talents. To whip up a plate of this grilled veggie goodness, you’ll start by heating your grill on high. Yes, HIGH. Once the slightly scary part is out of the way, the rest is a cinch. 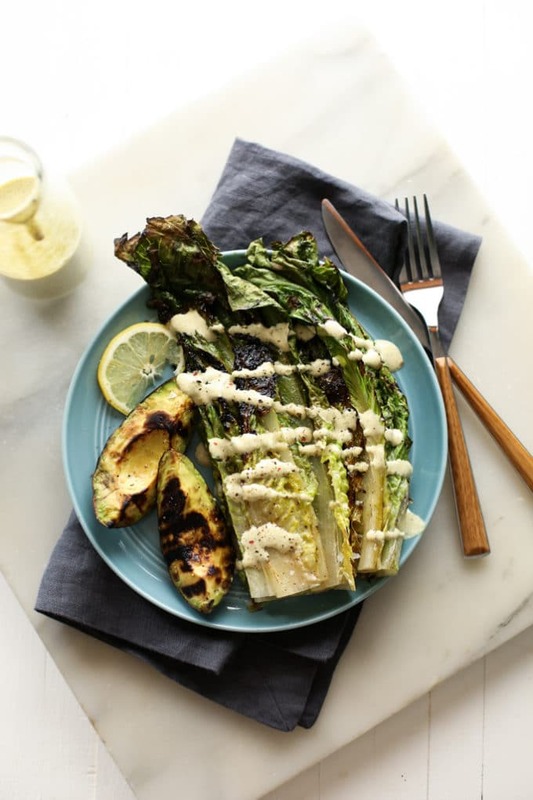 While your grill is heating, pile your romaine spears and avocado wedges on a baking tray and lightly brush them with grapeseed oil (note: any high-heat oil will do). Then, season liberally with sea salt and freshly-ground black pepper. 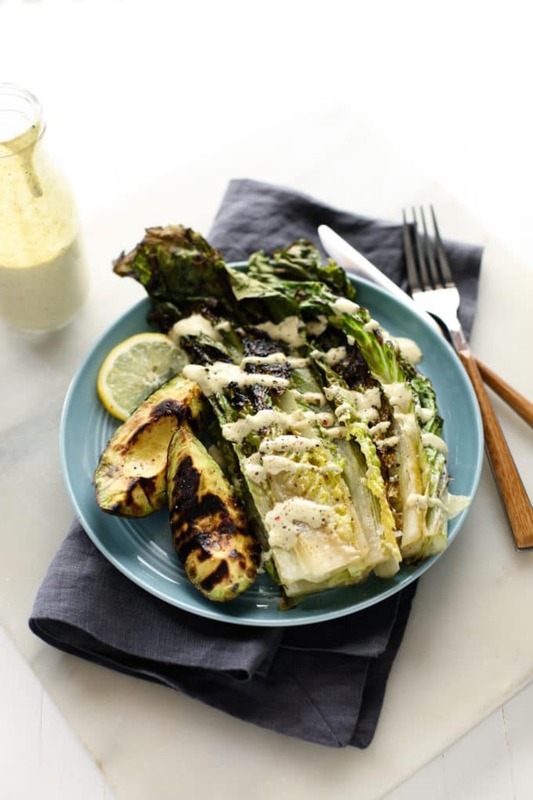 Once hot, place the romaine and avocado directly onto the grill. Cook for about 2 minutes before rotating and repeat until all sides of the romaine spears and the two fleshy sides of each avocado wedge are grilled. 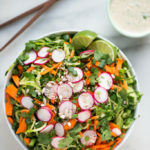 While the vegetables cool, you’ll combine the dressing ingredients in a blender and blend on high until smooth and creamy. Divide the romaine and avocado between two plates if serving as a main course or four plates for a salad or side. Then, drizzle with as little or as much of the caesar dressing as desired and garnish with a slice of lemon if it suits your fancy. Serve it up. Grilling the romaine and avocado lends depth, warmth, and a heartier texture. I love the way the char of the vegetables plays off the tangy caesar dressing. Bold and fiery balanced by creaminess and acidity. The ying and the yang. Peace, harmony, and lots of flavor snuggled up on one summery looking plate. 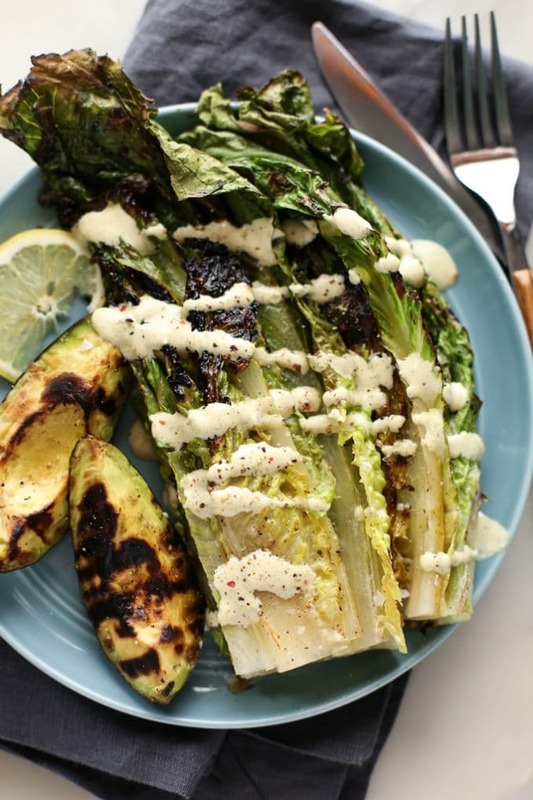 The classic caesar gets a summer twist with grilled romaine and avocado taking center stage. 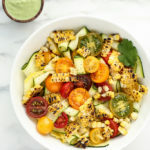 A tangy, garlicky, and creamy hemp-based caesar dressing gets drizzled over top and offers balance and brightness to complement the richly-charred veggies. Meanwhile, add the romaine and avocado to a large baking tray and lightly brush them with the grapeseed oil. Season with salt and pepper. Once hot, carefully place the veggies directly onto the grill. You'll want the avocados to be flesh-side down. Grill for 2 minutes and then rotate. Repeat until grilled on all sides. Return the veggies to the tray and let cool slightly. 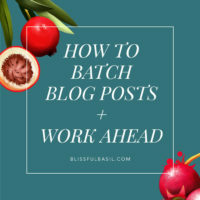 Meanwhile, combine all dressing ingredients in a high-speed blender and blend on high until smooth, stopping to scrape down the sides as needed. 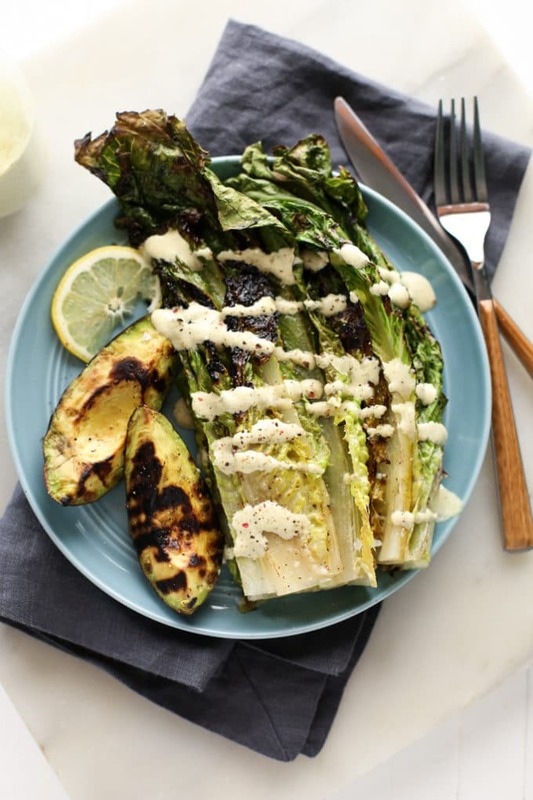 To serve, divide the romaine spears and avocado between plates and drizzle with as much or as little dressing as desired. 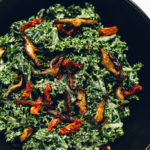 I love this take on a classic caesar salad. 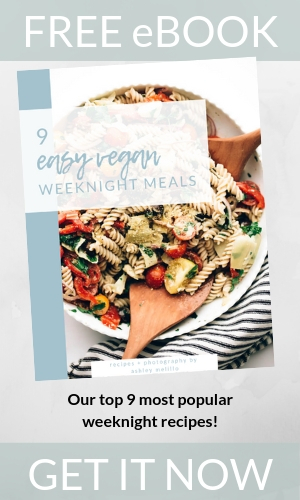 Definitely need to make it – and the fact that it’s vegan and gluten free makes the recipe all the more attractive. I am in love with these photos. Mouthwatering! This looks delicious! 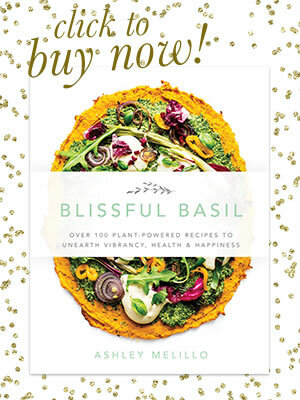 My husband can’t eat the hemp seeds, is there anything that could be substituted? Hi Brittany! Absolutely, raw cashews will work well too. You might just need to add a little more water to blend them. Also, if you don’t have a high-speed blender, I would soak the cashews for 2 hours or boil them for 10 minutes to soften them enough to blend. Amazing, life changing caesar dressing! My husband doesn’t normally like vegan cream substitutes, but he inhaled our salad tonight! Thank you for creating and sharing this recipe! Heather! Thank you for taking the time to share your (awesome) feedback. I’m so happy to hear you and your husband enjoyed it so much! Was this changed from a previous recipe? I don’t remember there being hemp the times I have made this before. Hi, Becky! Nope, it hasn’t been changed since it was posted last summer. That said, you should be able to substitute soaked raw cashews in place of the hemp seeds without issue. 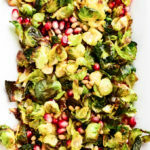 This dressing is the best, it is the only reason I want to eat more salad! Even my super picky husband inhaled the salad. So glad to hear you and your husband are both enjoying the recipe! Thanks for taking time out of your day to come back and share your thoughts and rating!